Spring is officially here, and the days are longer and lighter—if not warmer, in some places. 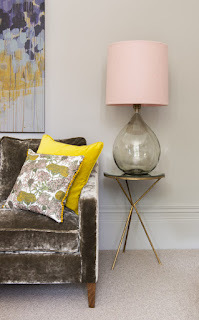 And with the new season comes a chance to hit the reset button on your home's decor. It's time to stash away heavy throws and that snowflake-themed doormat and bring out a brighter look. "Springtime is your chance to renew the spaces you live in and take them out of hibernation," says Karen Gray-Plaisted of Design Solutions KGP. To help you ease into the new season, we've gathered nine gorgeous ways to upgrade your interior and exterior style. The best part? They're cheap and easy. So what are you waiting for? Go ahead and bring some spring fling into your home. 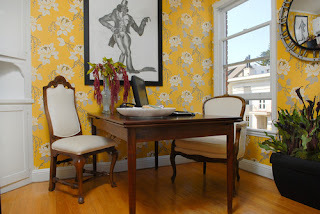 Quick and easy peel-and-stick wallpaper is ideal for spring, especially if you choose a joyful, bright print. Seek out lively patterns, including pink and green branches, pastel polka dots, or bird themes. 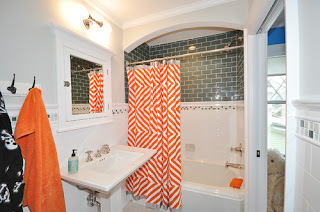 And if you're not sure you want to redo the entire room, put this temporary look on an accent wall. You'll still have a pop of springtime color, but with less commitment. What says "rejuvenation" more than the very structures that nurture life? Bring these natural elements inside by collecting old nests that you're certain aren't in use or by hitting up the crafts store for faux versions. 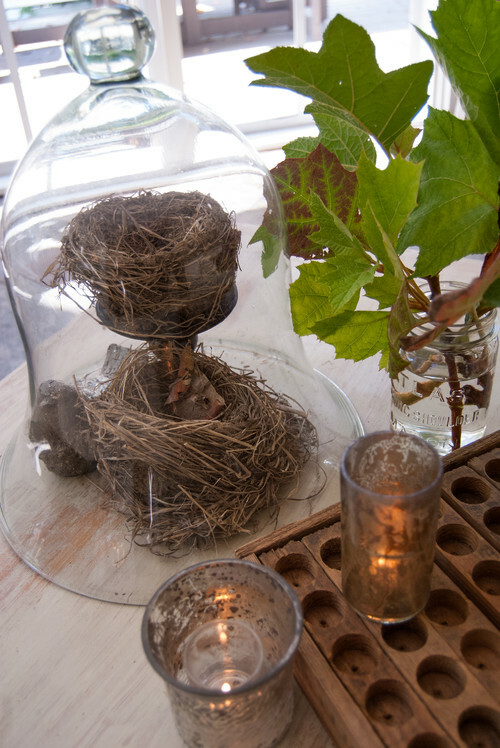 Place your nest collection under a glass cloche or fill it with fruit, flowers, or, as Easter approaches, colored eggs and bunnies. Fresh flowers are a must this time of year. "I love calla lilies, irises, and tulips in a bouquet placed in a nontypical spot such as your nightstand or bar cart," says Sara Chiarilli, an interior designer with Artful Conceptions in Tampa, FL. And in the yard, look to pansies and azaleas. "Azaleas [can act] as colorful and well-behaved foundation plants on the east side of your house, where they'll receive afternoon shade," recommends Matt Michaels of Lowe's. "Pansies are a great springtime bloom because they're hardy in cold weather and come in an array of shades, many with bicolor faces," adds Rhianna Miller of RubberMulch. Plus, they thrive in both full sun and part shade and can be planted in pots, flower beds, and hanging baskets. The beauty of a neutral couch is that you can change out your accessories with every season, Chiarilli notes. Pack away dark throw pillows and accent blankets, and go for lighter colors. 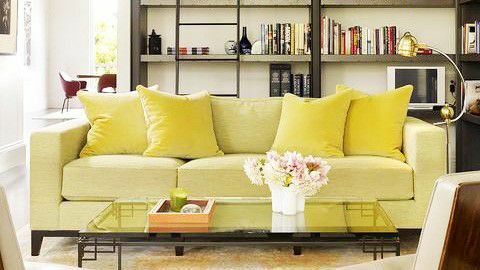 "If you live in a warm-toned house, pick yellows, soft pinks, and orange—and for cool tones, select light blues, greens, and silvers," she says. Out with dark, tweedy toppers, and in with paler, more delicate shades. 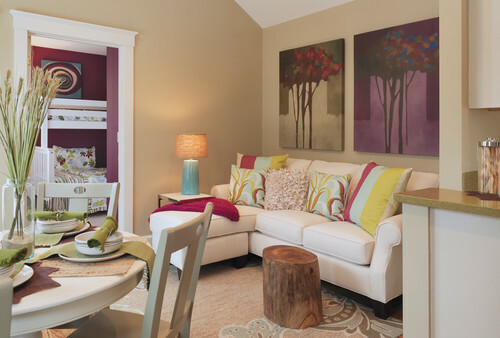 Pinks, lavenders, and lime greens herald the season, offering your living room a spring glow for not much money. Check out chain stores such as T.J. Maxx, HomeGoods, and Target for inexpensive lampshades for every room. 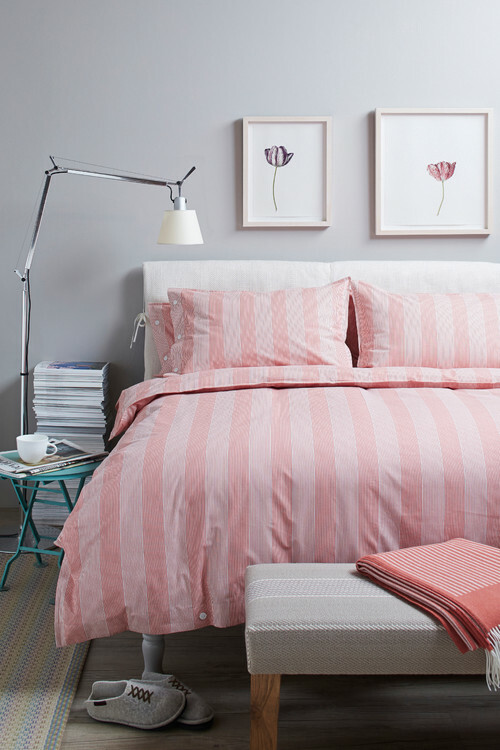 If you've been hibernating underneath dark, fuzzy throw blankets and heavy duvets, it's time to strip the bed! With warmer temps and brighter days on the horizon, consider lighter pastels for pillows and throw blankets. "Rose quartz, for example, is the perfect springtime color, and it mixes beautifully with gray paint tones that have become so popular lately," Chiarilli says. And remember, spring can bring on allergies. If you have special pillows and sheets (Allergy Asthma Technology makes hypoallergenic bedding), now's the time to bring them out, says Julie Coraccio, the home organizing expert at Reawaken Your Brilliance. Spring is all about the green. 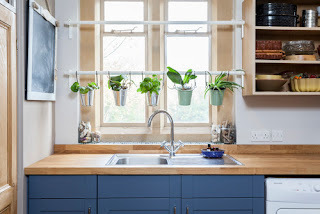 Line up small pots of basil, thyme, and mint on your kitchen or laundry room windowsill, and breathe in the fresh, vernal scent. Or pile bright green fruits such as Granny Smith apples, limes, pomelos, or Anjou pears into a bowl or shallow platter on the counter or dining room hutch. A zippy new shower curtain is an easy spring upgrade—and it'll likely cost less than $30. "And don't forget to change out your hand towels and candles," Chiarilli says. "It's so important that your home smell like spring when you walk through the door, so try jasmine, the perfect soft scent." The entrance to your home deserves a little springtime love, too. 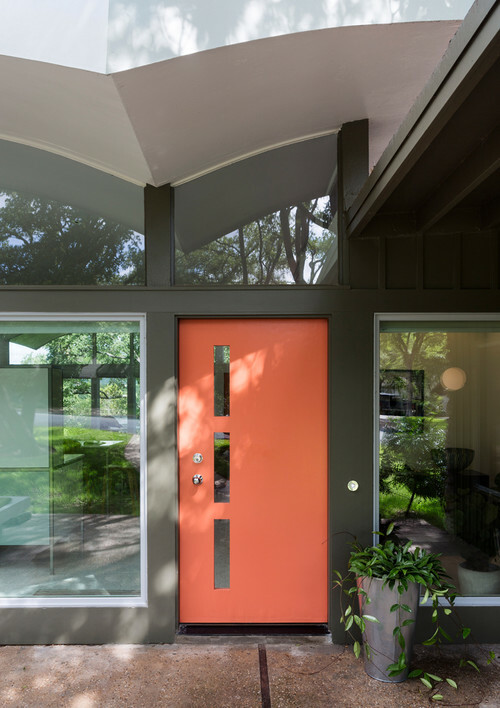 Consider slapping a fresh coat of paint on your front door—and think vibrant spring colors such as a zesty coral, a tranquil aqua, or a bright lemon yellow. "Get a new doormat, and add a pretty wreath or door basket with silk flowers and greens," Gray-Plaisted suggests. If you live in a cooler climate, try putting cold-hardy bulbs in your outdoor planters and then adding one to each side of your door or garage. 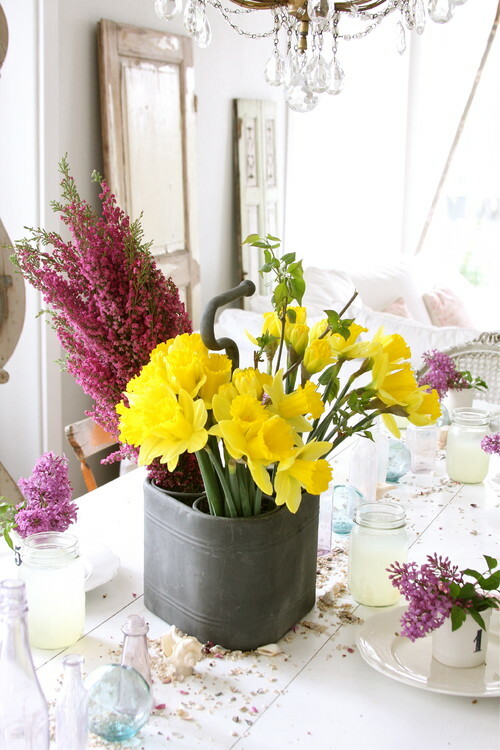 Voila—a fresh entryway that makes it clear spring has sprung at your house. Contact McLeod Group Network for all your Real Estate needs! 971.208.5093 or mcleodgroupoffice@gmail.com.